Training to become a cyclist got Marianne Berglund a world championship and trips to two Olympics. It also was the perfect preparation for becoming a doctoral student at Grand Canyon University. 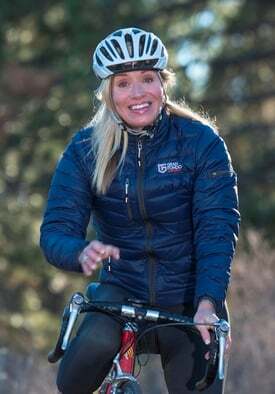 Berglund was a professional cyclist for 14 years and won the 1983 World Cycling Championship for road racing, but it meant a lot more to her than mere accolades. 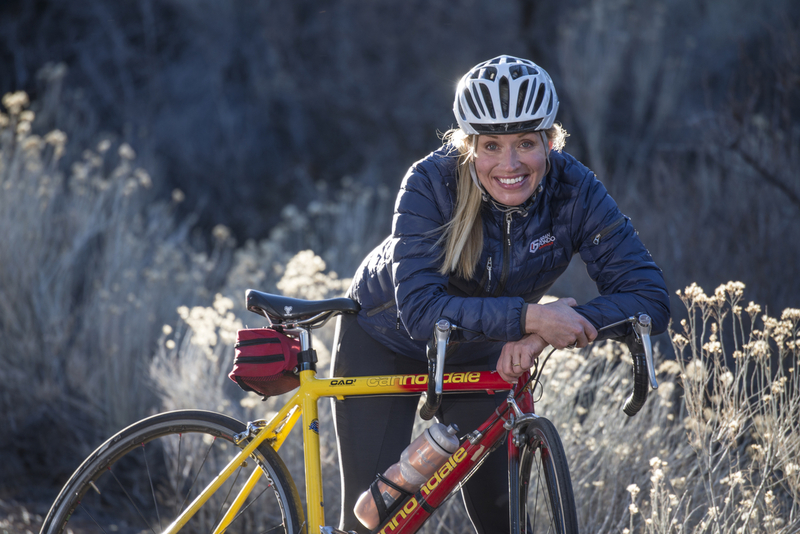 Not long after her cycling career ended, Berglund was living in San Diego and became curious about the teachings of another local celebrity, so she just called him out of the blue. His name: Dr. Ken Blanchard, whose name has been on GCU’s College of Business for the last 10 years. He came to the phone right away. The two stayed in touch over the years, and when Berglund decided she wanted to ascend from management consulting to full professor in that field, he influenced her decision. “One of the reasons I decided to go with GCU was its relationship with Ken,” she said. Berglund, 50, has lived for the last 3½ years in Bend, Ore., located smack dab in the center of the state, 89 miles east of Eugene. She and her husband, Dr. Osvaldo Schirripa, a geneticist, had been living in Sweden, and Berglund remembered Bend from her training days as a cyclist. She wanted four distinct seasons and a family-oriented place. Soon after they got to town, Berglund decided to check off one of the items on her bucket list and get her doctorate. Her dissertation is on one of Blanchard’s favorite topics – why a healthier work culture helps people do better work, and why some organizations are able to maintain healthy work environments and some aren’t. A few months ago, toward the end of the three-year process, it came time for the academic quality reviewer, Dr. Trudy Kuo, to assess Berglund’s work. Kuo found flaws with the research design, but what happened next stunned her. “What was unusual about it was that she was completely positive and motivated about it,” Kuo said. “Usually, learners are defensive, but she didn’t take it personally. After hitting it off during their initial phone conversation, the two exchanged a series of emails over the next few weeks as Berglund collected more data and Kuo showed her how to review the data. “She gave me a lot of support,” Berglund said. Berglund also spoke highly of one of her instructors, Dr. James Bankston: “He’s so knowledgeable. He’s phenomenal.” But that almost pales in comparison to how Bankston talks about her. “If you asked me to remember a student I’ve taught, there are some names I would draw a blank on, but not her,” he said. “Even though this is online, I could see how determined she was, how committed she was. She turned out work I would’ve been proud to submit. By the time the course ended, she was doing flawless work. Berglund has equally strong feelings about the experience as she awaits the final signatures on her dissertation in the next few weeks.